2018 isn’t over yet, but before you know it, Run For Hope will be back! Organised by Four Seasons Hotel Singapore and the National Cancer Centre Singapore (NCCS), the annual non-competitive, charity run returns to the Singapore Sports Hub, OCBC Square on 17th February 2019 for its 26th edition, as runners run to raise awareness and support for vital cancer research. Although one Singaporean is diagnosed with cancer every hour, over the past 40 years, survival rates for cancer patients in Singapore have tripled for men and doubled for women, thanks to the great progress cancer research has made. Headed by NCCS then, cancer research needs all the help it can get in continuing to pioneer innovative research to find the breakthroughs that will change how we understand, diagnose, treat and ultimately cure cancer to Make More Survivors. Run for Hope features two distances, 3.5km and 10km, making it easy and accessible for both new and avid runners, young or old to join. 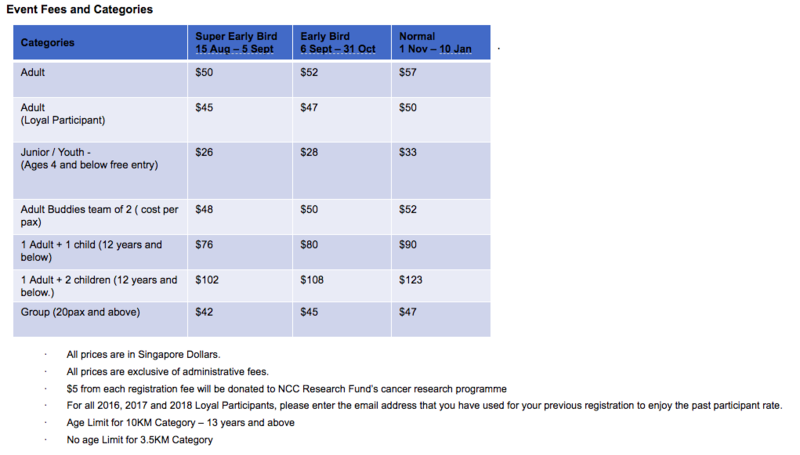 Organisers will donate $5 from each registration fee to the NCC Research Fund’s cancer research programme, while Super Early Bird registration prices are available from 15 August to 5 September. Next February, do a good deed and join the Run For Hope and help Make More Survivors.